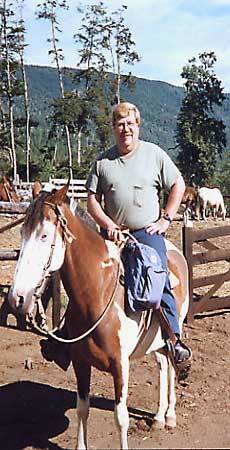 Here I am in Pucón, Chile in South America, about to take a horse trek into the back country. 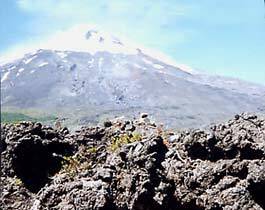 The area we are traveling through is the Parque Nacional de Villarrica, which contains a quietly smoking Villarrica Volcano. 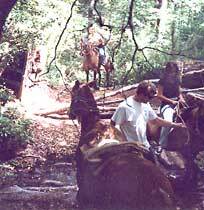 Our horses takes us through the thick forests with trees I never saw before, past several waterfalls, into the high country with great views of the volcano. This is the type of trips and adventures I want to show you. I've traveled many years all over the world, mostly in Europe, but also in South America, China, Thailand, New Zealand and Australia. 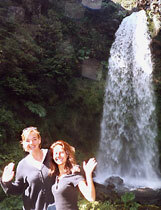 I can reveal travel secrets that can not only help make your next trip magnificent, but also affordable and safer. I can provide lots of helpful advice gleaned through years of experience as well as links to many useful and money saving Travel Websites. Uncle Dan's web site provides up-to-date Travel Secrets using detailed Travel Tips and easy to follow step-by-step "How to" Travel eBooks. Best of all, there are my Travel Stories that show you how I put it all together. Believe me, there are lots of surprising facts, interesting people and great places to discover there. I hope to see you on the road soon with lots of useful travel ideas and wonderful places to visit.